The Glyderau is a smaller range than the Carneddau, with only 11 peaks over 600m (5 of these are over 914m), however the walking on it is just as special. 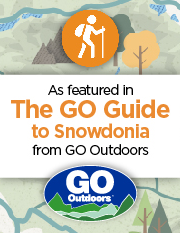 There are access points to the range along the Ogwen Valley, and also from the Llanberis pass. The bus service from Bangor to Llanberis runs every hour all year round. The service from Bethesda to Ogwen is not as frequent or reliable. There is a car park by Llyn Ogwen, and also one at Nant Peris, both of which are suitable for this range. The Glyderau are a fairly rocky range over all, with some grassy and boggy ground towards Capel Curig. Navigation on the range is generally not as difficult as that on the Carneddau, however several of the walks described will not be going over obvious paths, and care will be needed (take a map and compass). There are some cliffs on the side of the Nant Ffrancon and Ogwen Valley, and care should be taken to ensure these are avoided. There are no major problems with access, although you should not that Llyn Idwal and the surrounding area is a nature reserve, hence it should be treated with extra respect. Tryfan is a rocky mountain which requires scrambling on all routes, and appropriate skills should be acquired before attempting it. The selection of routes below will cover all of the summits in the Glyderau. Some of these can be shortened substantially, and this has been indicated in the route description. This should mean that there is a route for everyone, and also allows for variations if the weather changes. Each route description includes a rough idea of time, a description of the route, its difficulty and possible variations. There are also photos taken on the walks.